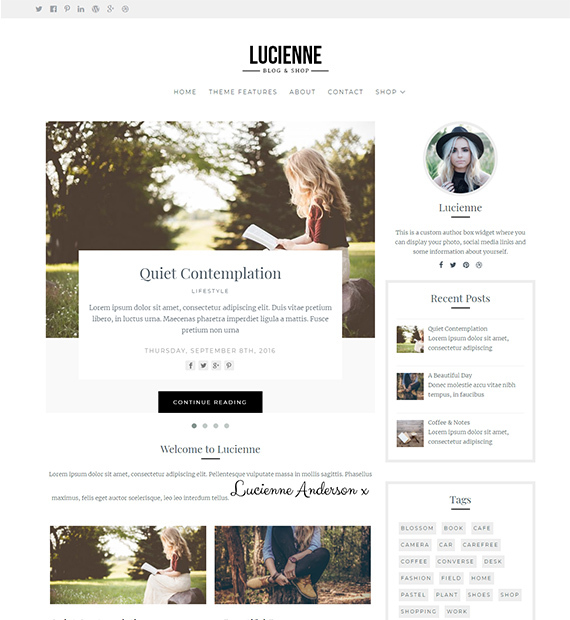 A stylish yet elegant theme, Lucienne is a Free WordPress theme that is specially designed for blogs and online shops. The minimalistic aspect and efficient design feature white space with beautiful typography that will make any site visually appealing. Responsive and widgeted areas on the top and bottom also make it great for adding elements and custom contents if required. The theme also fully supports and works alongside WooCommerce to give you the best experience online.